Bellefield Systems, the providers of the fastest path to revenue through its time entry solutions, has released a new version of its desktop interface of its flagship application, iTimeKeep. This release includes many features which will make timekeeping more simple, intuitive and efficient than ever before. This release includes a full redesign of the desktop application, which was created to give attorneys easy access to key features and will serve as a foundation for additional platform releases later this year. This update also includes new features to improve ease of use for timekeepers based on the way that they work, such as the capability to keep time while multitasking, access to additional calendar views, and visibility into timekeeping progress, including the ability to identify missing time. “We’re proud to launch the latest version of iTimeKeep desktop, which provides One Experience for attorneys to enter their time as quickly and accurately as possible, regardless of location while using their device of choice. The full redesign, as well as the addition of several user-driven features will deepen the value of the iTimeKeep offering for all of our customers and will serve as the foundation for future platform enhancements that will continue to redefine legal technology,” stated Gabriela Isturiz, President. The new version of iTimeKeep Desktop has been rolled out to all iTimeKeep Customers, effective June 18, 2018. 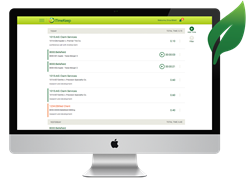 Bellefield provides the fastest path to revenue by removing barriers to time entry for attorneys and law firms. Through the iTimeKeep platform, Bellefield brings better timekeeping to any law firm or professional services firm by increasing attorney engagement, providing real-time compliance with outside counsel guidelines and enabling firms to manage their time entry policies. In an area that was long disregarded and accepted as a “cost of doing business,” Bellefield’s innovations are bringing about efficiencies that allow firms to achieve the best timecard inventory, leading to less rejections, increased compliance and maximum client satisfaction. Bellefield was founded with one simple (yet powerful) purpose: create better timekeepers. iTimeKeep ranks #1 as the most adopted Mobile (and anywhere) Time Entry solution for attorneys for five consecutive years. Bellefield’s founding members include the former founders of eBillingHub (now Thomson Reuters ™), Gabriela Isturiz and Daniel Garcia and software veteran, John Kuntz. Bellefield Systems is an independent, privately held company headquartered in Pittsburgh, Pennsylvania. To learn more, visit http://www.bellefield.com.